As the granddaddy of all mid-sized luxury SUVs, Jeep brings its A-game constantly to raise the bar. Just when you think they can’t outdo the last Grand Cherokee, they do. 2019 is going to be no exception. With 7 bold trims – Laredo, Limited, Trailhawk, Overland, Summit, SRT and Trackhawk – the 2019 Jeep Grand Cherokee is ready to show a whole new generation of mid-size SUVs how it’s done. 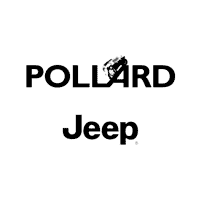 Pollard Jeep in Boulder is here to give you all the latest information on just what the new Grand Cherokee will be serving Boulder Denver Longmont Thorton drivers in 2019. We’ll go through the base model for the most part but will bring you highlights of other trim levels as well. Let the fun begin. It’s elegant, but don’t let those sophisticated curves fool you. This is one rugged SUV when it needs to be. Let’s call it assertive but not aggressive, and that’s exactly the type of look you want for a mid-size SUV. Trim levels will add certain exterior features that are out of this world – 20 inch painted granite wheels shine on the High Altitude – but you start out with the 17-inch polished aluminum wheels of the Laredo, an impressive start and more than enough for some folks. And optional exterior features like Bi-Xenon High-Intensity Discharge Headlamps allow you to add impressive flourishes to an already impressive Grand Cherokee. 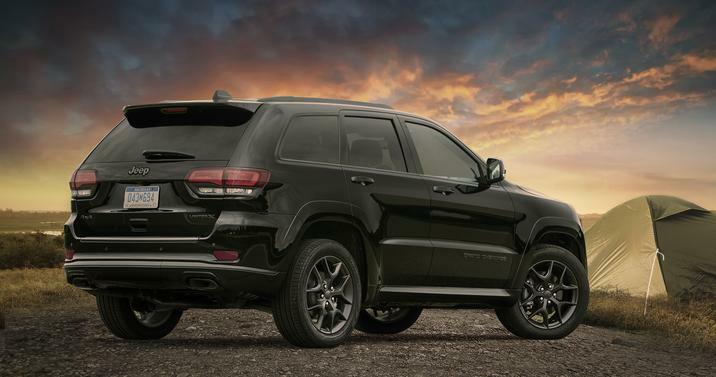 The 2019 Jeep Grand Cherokee trim levels lineup allows you to pick and choose what you want your Grand Cherokee to look like, and that’s something we know our Pollard Jeep in Boulder customers appreciate. The base model Laredo features a beautiful cloth interior in two colors: Black with black stitching or the intriguing black and light frost beige with with light frost beige accent stitching. And that’s just for starters. Higher trims feature Nappa leather trim with some of the most sophisticated accent stitching in the world today. It’s simply a beautiful and comfortable environment to find yourself in. 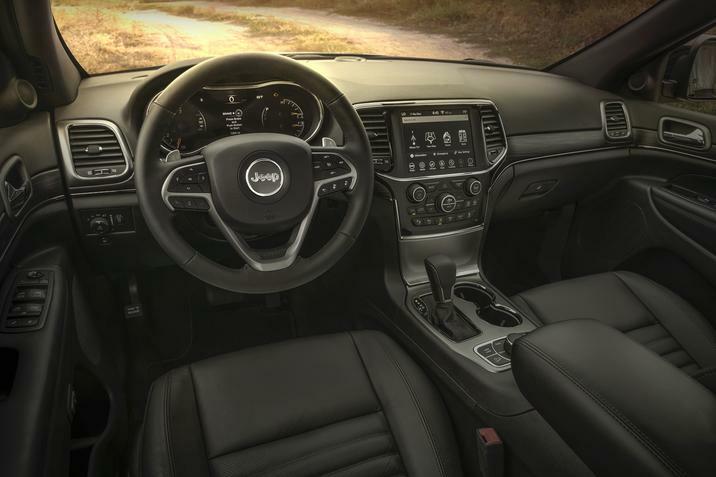 And if that’s not enough, consider the UCONNECT 4 infotainment system maxed out with your 7-inch touchscreen. Want voice commands? You’ve got it. It’s all the comforts of home with the advanced technology that today’s customers demand. Everything about the 2019 Grand Cherokee is as grand as it gets. Horsepower on the Grand Cherokee can go all the way up to 707 horsepower (via the supercharged 6.2L V8 engine of the Trackhawk), so we’re talking the sky is the limit as far as off-roading and other ventures go. This same engine gives you a whopping 645 lbs-ft of torque as well and gives you 7,200 pound towing capacity. The base model Laredo features a 3.6-liter V-6 engine good for 295 horsepower just by itself, so you’re never going to suffer from a lack of performance when you’re in the 2019 Grand Cherokee. All of the powertrain specs are out-of-this-world impressive. The 4X4 SRT features a 6.4-liter V-8 engine that will give you 475 horsepower as well. There are a ton of engine options to choose from, and that’s one of the things Grand Cherokee owners demand. This one is serving Boulder Denver Longmont Thornton customers with unparalleled choice and power. Trim levels give you maximum choice. Radar-based sensors are on your side thanks to the blind spot monitoring and rear cross path detection in the Grand Cherokee. And that’s just the beginning of a full line of advanced safety systems. You’ll enjoy a Parkview rear backup camera, a Parksense rear park assist system, and adaptive cruise control with stop and go, and that’s just for starters. 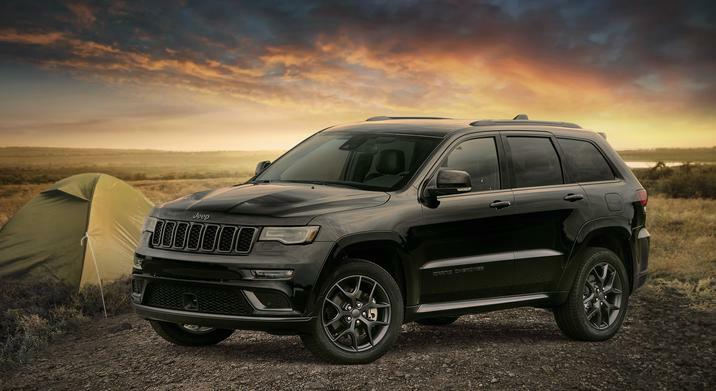 Pollard Jeep in Boulder encourages you to look at the massive lineup of safety features that Jeep packed into the Grand Cherokee in 2019 and see for yourself that you’re always going to be safe and sound inside this SUV. Two more great 2019 Jeep Grand Cherokee Trim Levels are available and will be serving Boulder Denver Longmont Thornton drivers for years to come. It’s a full lineup of some of the best SUVs ever put on planet earth today. Please call us to set up a test drive of your favorite Cherokee trim! This one will be serving Boulder Denver Longmont Thornton drivers with an out of this world premium driving experience for years to come.